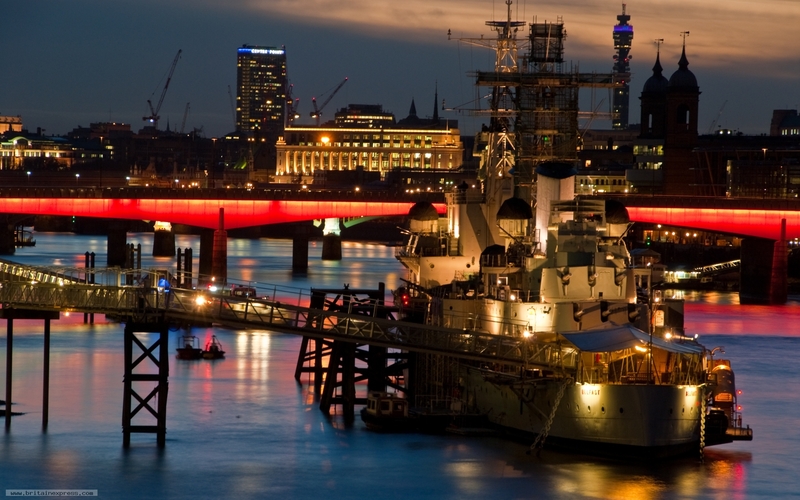 The HMS Belfast is a World War II warship, moored in Southwark, on the south side of the River Thames between Tower Bridge and London Bridge. The ship is part of the Imperial War Museum. This view was taken from the middle of Tower Bridge on a lovely spring night, when the ship and the surrounding buildings on either side of the river were lit up like a Christmas tree - a really magical cityscape.